New Delhi: The challenge was an immense one. If lakhs of pilgrims take the holy dip in the Ganga during the 55-day long Ardh Kumbh Mela, then how will the heavily polluted river be cleaned up first in preparation for the mass arrivals and maintained clean through the period of the festival. It seemed like mission impossible. But the combined efforts of different agencies has managed to impress even the sceptics. The Kumbh Mela commenced on January 15 at the ‘Sangam’, the confluence of the rivers Ganga, Yamuna, and Saraswati in Prayagraj (Allahabad) of Uttar Pradesh. People from across the world have been taking a dip in the holy river Ganga with the belief that it will wash off all their past ills and pave the way for better future. In the areas on the bank of the ‘Sangam’ covering Naini, Jhusi, and Prayagraj (Allahabad), the Jal Board of Prayagraj had listed 46 major drains that empty out 270 million litres per day of waste directly into the river. 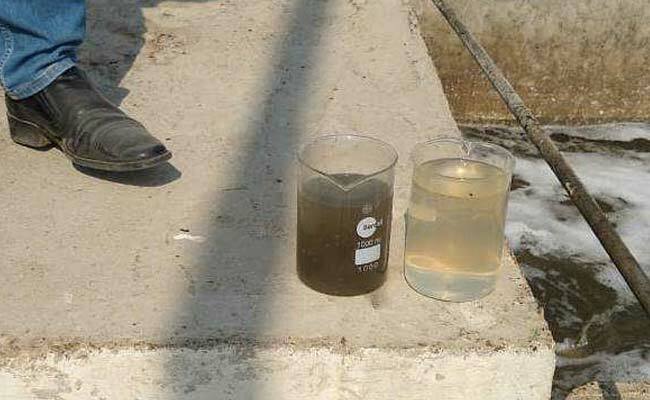 The Jal Board deputed 46 engineers, one to monitor each of the 46 drains in order to curb the muck entering the river. The engineers appointed were given the task to report the condition of the drains, ensure sample collection and update the findings to the Ganga Pollution Control Unit in real time. They are also required to report the volume of sludge added by the drain into the Ganga and the technology used to clean the drain water. Real-time pictures of the drain are also supposed to be shared regularly. We are treating sewage at eight regular and two temporary Sewer Treatment Plants (STPs). We are also taking help of technologies like bioremediation, and geo-bag modular STP and have also collaborated with the National Environmental Engineering Research Institute (NEERI) in treating the influents at some drains. We are trying that the effluents that enter in the Ganga from these drains are treated up to the level of less than 30 Biological Oxygen Demand (BOD). He further explained that when BOD is high, the dissolved oxygen (DO) levels decrease because the oxygen that is available in the water is being consumed by the bacteria and due to less dissolved oxygen available in the water, it is difficult for fish and other aquatic organisms to survive. Bioremediation is a process of using living organisms such as microbes and bacteria to remove contaminants, pollutants, and toxins from water. Geo-bag or Nonwoven Geotextile bag, on the other hand, is made out of porous synthetic fabric that is stitched from three sides and is open from one side. It is designed to be filled with soil and is installed at the beaches. It helps in protecting rivers and other water bodies from erosion by developing an embankment and by filtering sludge from the wastewater. 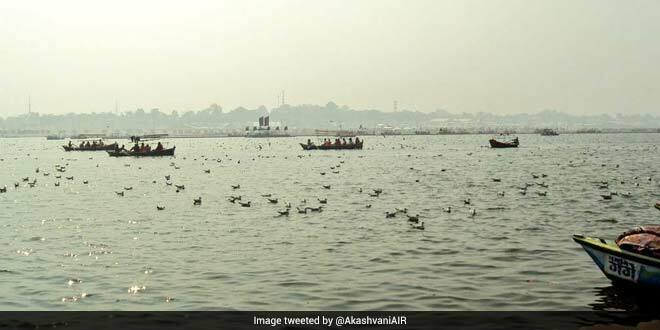 Being one of the largest religious gatherings, the Ardh Kumbh Mela, is considered to be very sacred and involves ritual bathing at the Triveni Sangam. Many people, while bathing, relieve themselves in the river without realising that along with offering prayers in the river, they are polluting the holy river. Urinals and toilets will keep this problem at bay and help the ‘mela’ become a Swachh Kumbh Mela. The message of cleanliness from Prayagraj will go to every nook and corner of the country. According to the ‘Kumbh Mela’ authorities, as many as 2.25 crore devotees took the ‘Shahi-Snan’ (Holy dip) in the ‘sangam’ on January 15 and approximately the same number of people participated in the second ‘Shahi Snan’ held on January 21. The official said that more than 3 crore people have already visited the Kumbh and about 13 crore people are expected to visit the Kumbh that is ending on March 4. Not only during the Kumbh, we strive to keep Gang a clean for other festivals also like ‘Megh Mela’ (an annual religious and cultural festival). To ensure that the solid waste generated in the ‘Mela’ area does not reach the river, the Prayagraj Municipal Corporation has deployed 40 trash compactors- the machines used to compress the garbage produced, and 120 tippers to carry the garbage for disposing it off to the designated area. This time, Kumbh will make history by being titled as India’s cleanest Kumbh Mela, the theme ‘Swachh (clean) Kumbh, Surakshit (Surakshit) Kumbh’ is appropriate enough, to send a swachh message to the world.